Many of us love cars. If you’re reading this blog, then you almost DEFINITELY love cars. But how many of us actually fully appreciate all the intricate, precise manufacturing methods and super advanced technology that’s used when creating the masterpiece that is the modern car? With so many years in the industry, we at John Hughes have seen many trends in car manufacturing. It’s fascinating to think about how far car manufacturing has come since its early days. From oils and tree sap to elctromagnetised paint solutions, car production has well and truly been revolutionised by modern technology. We’ve taken a look at how different car manufacturing methods have changed since the early days. Remember – most of these revolutions have taken place in under 100 years! Then: In the early days of the car production line, almost everything was done by people. Production was assisted by moving conveyor belts, machines and cranes, but most of the assembly was done by hand. 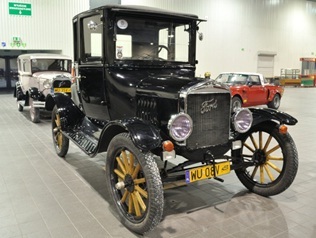 Check out this video of the Ford Model T production line: it took a lot of manpower to build those cars (and yet over 15 million were made!) It wasn’t until 1961 that the first industrial robot started helping to build cars for General Motors, and years later, robots with sensors and computer vision started to become commonplace. Now: These days in modern factories, most car assembly is done by sophisticated robots which are precisely choreographed to carry out specific, repetitive tasks. In the Kia factory, for example, the welding shop has just 62 humans and a whopping 242 robots which can fuse a car together in under 90 minutes. Have a look at this fascinating video from the Kia factory – the robots almost look as though they have minds of their own. Then: Decades ago, two basic products were used as car paint: oil varnish made from linseed oil, or another option was amber varnishes obtained from liquid amber resins. From 1963, the first polyester paints became available. Now: Nowadays, even painting a car is a complicated feat of advanced chemistry and engineering. A paint shop in a factory must be completely sterile and decontaminated, as even a tiny speck of dust can completely ruin a paint job. Car shells first undergo a series of chemical washes and dips to prepare the surface for paint. In a process called electro deposition, the car shell is dipped into a tub of electrically charged paint, and the paint particles bind themselves to the car surface. Then, the car goes through a series of painting and baking to solidify the colour. Each new car will actually spend almost 1/3 of its early life just in the paint shop! 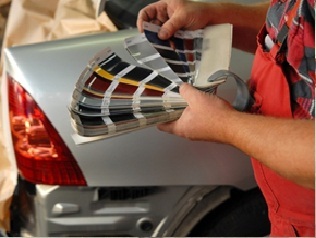 Read more about the history of different car painting methods and ingredients. Then: When cars first began to be mass manufactured, there was almost no knowledge or care given to the potential impacts of manufacturing and emissions on the environment. Now: Today, more and more car manufacturers are more concerned with their impact on the environment, and have subsequently introduced new manufacturing methods to reduce both the emissions from their factories, and from the cars themselves. 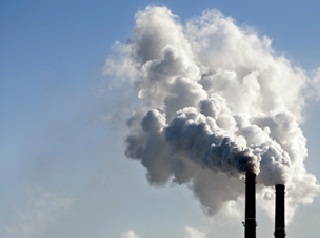 According to the EPA, emissions from factories and automobiles in the United States today are less than half of what they were in 1970. Mitsubishi is also one of the leaders in greener car production. Check out this video of one of their plants in Holland. They have sheep in the front yard. Seriously. Car models and manufacturing methods have certainly come along way for the better, and they’re certainly still improving. Modern cars are safer, easier to drive, more durable, and many models are better for the environment. We’re excited to see just how advanced and futuristic car models can get. What will the car of the future really look like? Contact us today regarding our great range of new and used vehicles.